It's summer, it's sunny outside, we feel like putting colors everywhere, even in our hair ! Or, at least I do. 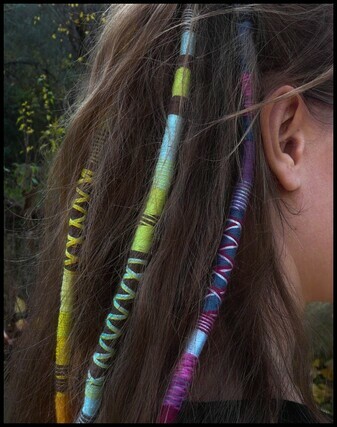 ^^ And so does my friends : at my summer camp, I spend three weeks doing hair wraps to everyone ! But what is a hair wrap, might you be asking ? 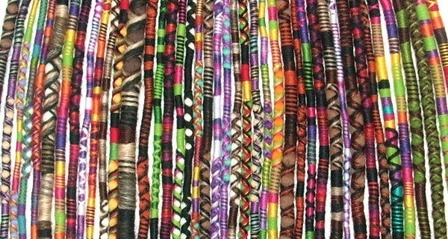 Well, it is a kind of braid wrapped in colorful wool or cotton threads. You don't understand, do you ? I haven't done these ones. Anyway, I was wondering if you'd like to know how to make these ;) Bye !